Who said wearables were all about smartwatches and fitness trackers? This clinically validated pregnancy wearable aims to improve birth outcomes by offering a host of data that can be streamed in real-time to your smartphone. 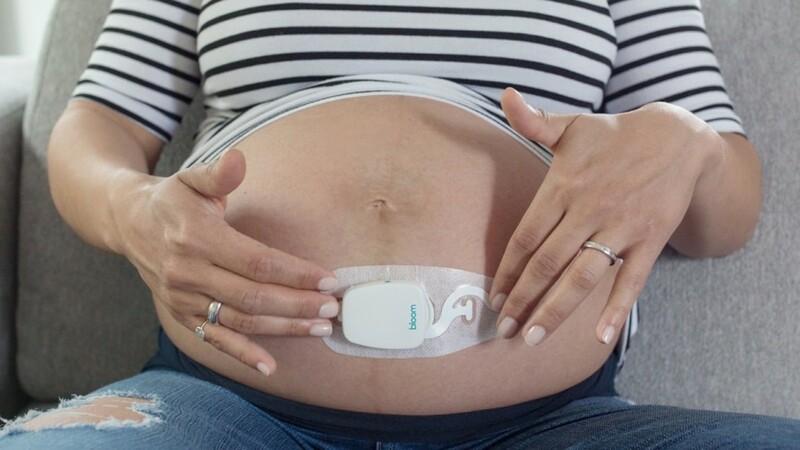 Bloomlife believes its sensor that sits on the belly offers more than your standard contraction timer apps. It works by picking up electrical signals from the uterine muscle to automatically measure, count and time contractions (Braxton Hicks and labor). It will also track changes in contraction patterns throughout the third trimester to see how the mother’s body is preparing for labour. Data can then be viewed inside the iOS or Android companion smartphone app. “Traditional approaches to clinical research are fraught with red tape when it comes to pregnancy”, says Eric Dy, co-founder and CEO of Bloomlife. “Naturally, anything that is perceived to risk a mother and her baby remain strictly off limits. The startup is hoping to crowdsource the data it records from users to help identify biomarkers and pregnancy complications as well. After nine months in beta and with four clinical studies completed, it’s now going on sale priced at $49. You will also need to pay a subscription, which starts at $149 for one month, then goes up to $249 for two months and $299 for three months. Shipping is expected in late January.